While I was visiting my friend in the US, I went to a great seafood restaurant called Joe's Crab Shack in Myrtle Beach with her. Actually I was told to buy Salt Water Taffy before I left Japan, so she took me there to buy some as well. 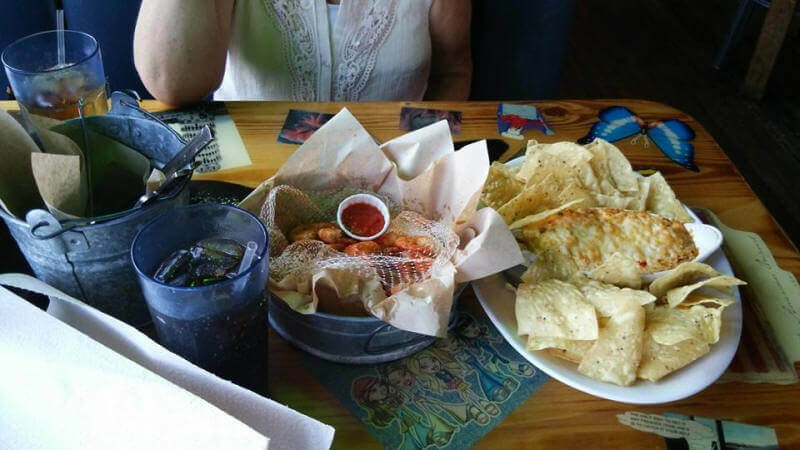 The specialities of Joe's Crab Shack are like steampots and Crab Buskets, but I love the crab cake so I ordered Crazy Good Crab Dip from appetizers menu. It's loaded with crab meat, cream cheese and parmesan. It was possibly the best crab cake I have ever eaten. Once I picked up potato chips and dip the tips into the crab dip and put it into my mouth, my hand could not stop moving. It's hard to stop eating actually. It's easy to get addicted. 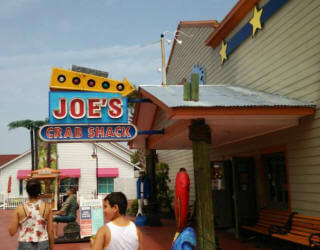 Joe's Crab Shack is an American beach-themed seafood casual dinning restaurant chain. There are some decorations like shark statues, boats or something like that. If my memory was correct, the interior was covered with wood. Actually I went there the next year again, with her family. She ordered crazy good crab dip just for appetizers, and ordered on other main dish. We loved it. Joe's Crab Shack locations are all across the United States, so if you happen to be in the area, it's definitely worth a visit. Please feel free to contact wanichan if you have any questions or comments.